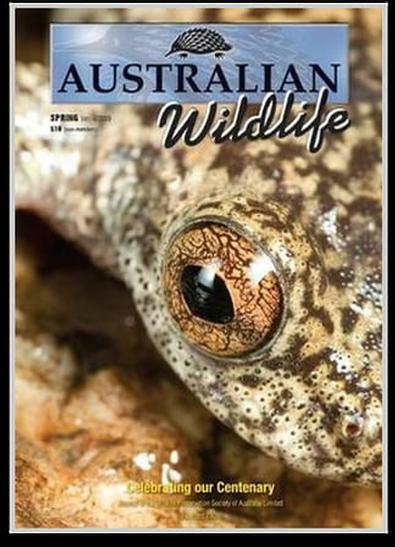 "Australian Wildlife" is the quarterly magazine of the Wildlife Preservation Society of Australia who are an independent, voluntary, non-profit organisation, formed in 1909, and is committed to the preservation of Australia‚s precious wildlife. WPSA act as a watchdog and provide advice to government agencies and institutions regarding environmental and conservation issues concerning all aspects of wildlife preservation. The mission is to conservation Australia‚s wildlife through education and involvement of the community.